Two days of fishy fun, delicious food and drink stalls from local artisan producers. With demonstration kitchens to feed your culinary curiosity, plus our live music stage to keep the party going, we’ve some great bands bringing you soul, jazz, blues, ska and a load of classic sunshine tracks. 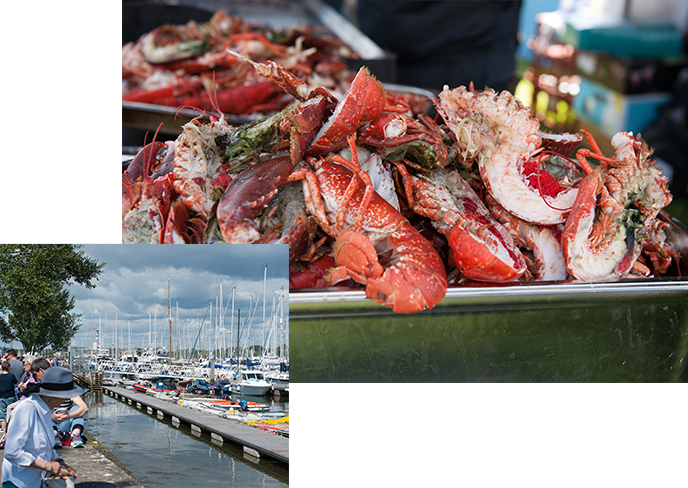 The New Forest is blessed with some of finest artisan producers and eateries in the country and the Lymington Seafood Festival is excited to be bringing you some of the best. With around 90 food and drink stalls, all offering something a little different you can ‘graze’ your way around, sampling lots of little fishy delights. Meat eaters, vegetarians and those with a sweet tooth need not panic either as we’ll be making sure everyone is catered for! The region’s leading chefs will be showing their skills in our demo kitchen. Led by The Jetty’s Alex Aitken, he’ll be joined by 2016 Masterchef winner Jane Devonshire and Chewton Glen’s Luke Matthews. Plus many more! All set with stunning view across the Solent. What better way to spend the weekend? Keeping you entertained throughout the festival are a host of great bands and artists, playing music across a range of genres. Check out who’ll be on the stage! The Pocket Orchestra performs contemporary slant on popular acoustic music from the late 19th and early 20th Centuries. This trio has a style all of their own, performing in some of the coolest venues across the UK with a mix of blues, ‘rag time’ tunes that’s just perfect to enjoy in the August sunshine. Lucas is a locally based musician, singer and songwriter who writes, records and produces his own music and performs all over the UK. He has appeared on various FM radio stations, played at numerous festivals, hundreds of events and performed thousands of gigs. Time to get down and groove! Dorsal Fin are the ultimate party band- a highly talented group of musicians playing an irresistible fusion of funk, rock, reggae and disco from the late 70s to now! Drawing from artists such as Chic, Stevie Wonder, Santana and Bruno Mars, their energy and enthusiasm will have you moved by the groove to get down and dance dance dance!  Could you get a more perfect name for a seafood festival? The Blue Tides are a seven-piece band who explore the borderline between jazz, rock and reggae. Their sound is a luminous combination of flute, saxes, brass, guitar, bass and drums. Locally based this 60’s Rock n Roll tribute band are a firm favourite in Lymington. They also play pop, soul and motown and are sure to get you up dancing! An energetic 3 piece rock and pop band! The band play a wide range of rock and pop classics with modern anthems thrown in to entertain all generations. Music that transports you from Paris to the Mississippi Delta, and from Bolivia back to Scotland this 3 piece will keep your toes tapping! 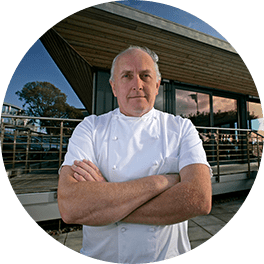 We are really excited about welcoming some of the region’s best chefs who will be in the Fisher & Paykel demonstration kitchen or you can try a Broil King seafood BBQ masterclass with chef, author and broadcaster Richard Fox. 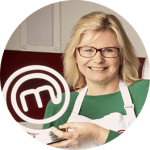 “We’re delighted to welcome 2016 Masterchef winner to this year’s Festival. Food has always been a part of Jane’s life, millions followed her Masterchef journey and were touched to learn of her battle with cancer. There’s no dish, ingredient or technique Jane is afraid but perhaps the highest accolade was by judge John Torode who said: “Jane has more determination, more drive, more heart than I’ve ever seen in a MasterChef contestant in my whole career.” In September her first book will hit the shelves ‘Hassle Free, Gluten Free’. Gary grew up in bournemouth next to the sea – spending summer nights fishing off purbeck and Poole quay. As he started his career as a chef he traveled around the country working in Michelin star establishments from north Wales to Kenmare on the southern Irish coast line. Gary is chef owner at the fisherman’s kitchen in southsea – a restaurant born out of a need to modernise the local fish and chip shop using fresh local and seasonal ingredients to cater for modern day tastes and expectations , combined with the love of great quality fish and chips. 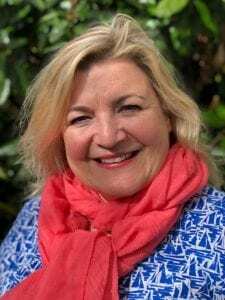 Davina is multi disciplined freelance home economist with an insatiable curiosity about food, and a passion for local and seasonal ingredients. 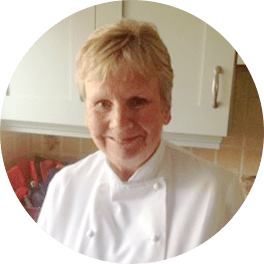 She has had a varied career in the food industry, education, communication and marketing. She works with a multitude of chefs, producers and food writers as well as with global cookware giant Le Creuset UK. 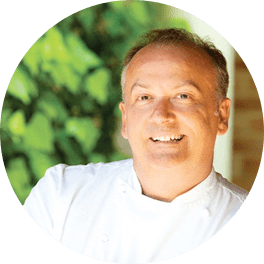 Steve has over 20 years’ experience at Michelin level restaurants and is widely acknowledged to be one of the leading cookery school’s tutors in the UK, having been Chef Director at Raymond Blanc Cookery School he joined the team at Chewton Glen earlier this year to head up The Kitchen. An infectious personality and brilliant chef. We can’t wait to see what foraged delights he brings along! A trawler man turned award-winning chef, Harbour Hotels’ Chef Patron Alex Aitken has an incomparable passion and respect for seafood; keeping things simple, with dishes that allow the flavour to shine through. 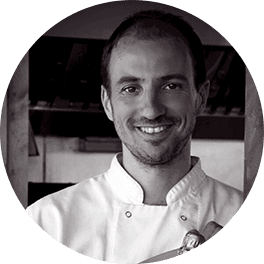 Following 25 yrs cooking within the New Forest, including running his own Michelin-starred restaurant, Le Poussin in Brockenhurst, Alex joined the Harbour Hotels Group in 2010 to head up its Jetty restaurant concept. With the flagship Jetty restaurant in Mudeford, Dorset, having established itself as the country’s number one seafood restaurant (recently awarded the coveted title of the ‘UK’s best seafood restaurant’) The Jetty concept now stretches from Devon to Sussex, landing in Southampton this year. 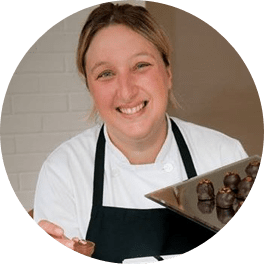 Jennifer is a multi-disciplined chef, wild forager and founder of the successful award winning Hampshire-based Naked Jam. Jennifer is dedicated to producing unique jams and preserves to the highest quality where flavours of the fruit are the most important ingredient, creating bespoke tastes and blends for renowned 5 Star national hotels and retail establishments such as the Captains Club Hotel Christchurch John Lewis Partnership, Chewton Glen and The Exclusive Hotel group. Luke Matthews has been Executive Head Chef since 2003. Regional ingredients, inspiring new flavours, and a focus on sublime, contemporary cuisine is the order of the day at Chewton Glen. 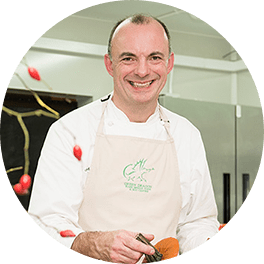 Luke makes regular appearances at cookery demonstrations and exhibitions and has also appeared on the BBC’s popular ‘Saturday Kitchen” with his good friend and former Chewton Glen colleague, James Martin. He has headed up many prestigious kitchen brigades achieving 2AA rosettes and being Michelin recommended for the last 10 years most recently at the time Rhinefield House Hotel, Lord March on the Goodwood Estate, Bournemouth Highcliff Marriott Hotel, Highcliff Grill, Executive Chef at the Hilton Bournemouth and the Schpoons & Forx and currently heading up the team at Stanwell House. Matt’s passion is for simple, modern British cuisine using the best produce sourced from produce from local farmers and fishermen. He can be seen demonstrating at local food festivals all over the south coast showcasing the amazing products that our county has to offer. One of the most exciting pastry chefs in the south, Chocolate by Miss Witt continues to scoop awards for her innovative and daring creations. Having worked with Alex Aitken at his Michelin star restaurant ‘Le Poussin’ and at the Bluebird, Chelsea, she started out on her own in 2012. Creating award winning delights such as blackcurrant & star anise or orange marmalade & Glenfiddich Whisky with chocolate. Can seafood and chocolate really work together? Miss Witt may have the answer! 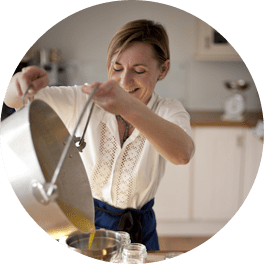 Since 2015 Lotte has judged and co-ordinated for Great Taste Awards In 2019 Lotte joined Love British Food as one of their Ambassadors. Aside from Food Festival organising, Lotte hosts different stages for the BBC Good Food Shows and HCP Events – throughout the year – speaking to all the big names in food TV including John Torode, Gregg Wallace, Paul Hollywood, Mary Berry, Michel Roux Jr, James Martin and Tom Kerridge amongst many others. Her cookery book – Lotte’s Country Kitchen was published by Absolute Press in 2010.